Port Ginesta is just a short distance from Barcelona International Airport. It has 1400 pontoon marine berths and lots of hard standing this is excellent for boat preparation and service work. 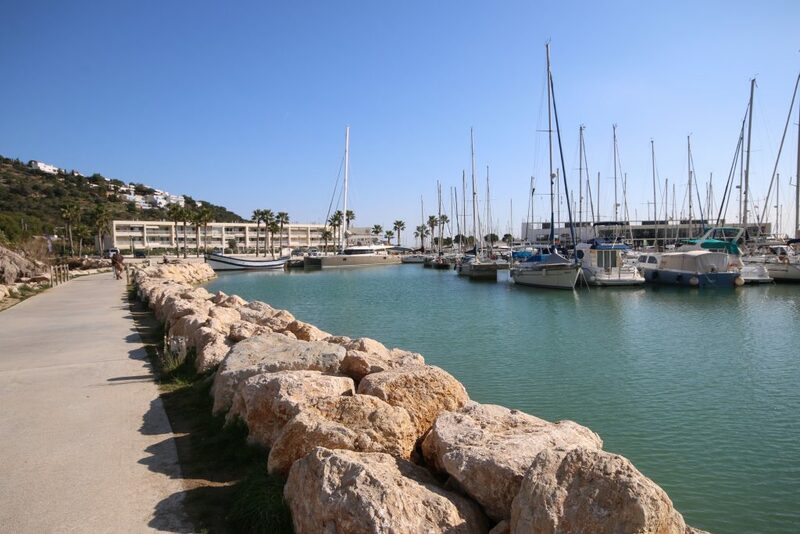 The marina is just a short walk from Castelldefels, a busy holiday town. Great food is available from many of the high-quality bars and restaurants. 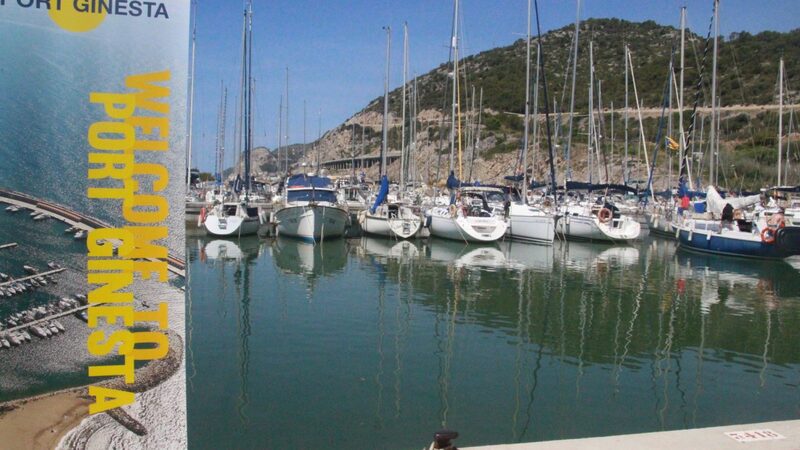 You can find bars both in Port Ginesta marina and along the beach area of Castelldefels. Dozens of professional boat services operate within Port Ginesta. You will find riggers, GRP repair centres, engineers and carpenters who have made this Port home for their operations. Thanks to simple road access and sailing to Mallorca or beyond, Port Ginesta is one of the busiest ports for commissioning in the Mediterranean. It also helps that the wind is much more settled in Barcelona than further north, such as in Roses (Girona) or along the western end of the southern French coastline. 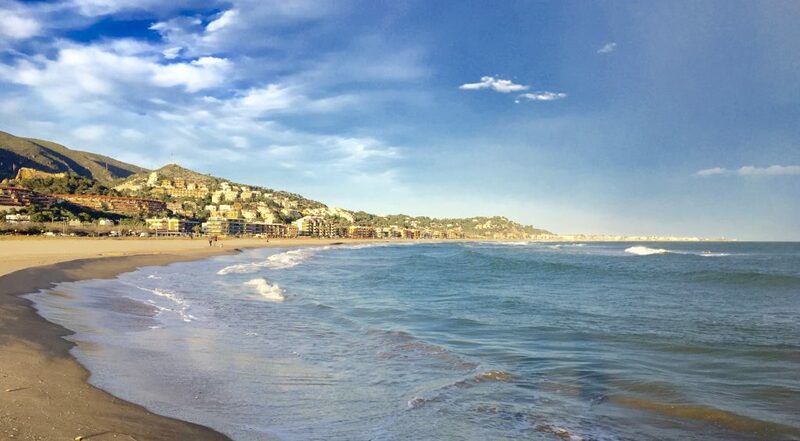 Castelldefels has more than five kilometres of wide sandy beaches. It’s a popular and a desirable tourist destination in summer full of restaurants, lounge beach bars and music. This place is well-known for being a perfect location for all types of water sports. Every day many people enjoy the surf, canoeing, and kite surfing to name just a few of the dozens of beach-based activities that go on all year round. Port Ginesta is also an ideal place for jogging and lovers of keeping fit. During the early morning, the sunrise can be just staggering. Some of our Castelldefels sunrise photos taken on the beach inspired us during the early days of starting our company. We found during the early mornings the beach to be such a great place for quiet contemplation before the hustle and bustle of visitors brought the area to life. When you have had your daily prescription of sea and sand one can amble along a lovely promenade and enjoy the fresh sea breeze that we welcome many times a year. If you’re feeling the need for something other than the beach why not venture into Castelldefels town centre. Try a walk up to the Castle and soak up the stunning view before settling down to dinner in one of the hundreds of bars and restaurants in the town. Before the marina was developed, Castelldefels was a beach resort used mainly by Catalonian citizens. The town is just a short distance back from the beach and has for many years been an upmarket suburb of Barcelona offering a great balance of homes and facilities. Today Castelldefels is one of the hardest places to buy an apartment, especially in the centre where modest apartment blocks line the well-maintained pedestrianised zone. This is where most people go out to eat in the evening it’s where the church and town hall can be found. Based within Garraf National Park south-west of Barcelona City, the park includes all regions surrounding Garraf, and the Catalan Coastal Range. The Marina borders Llobregat river where it joins the Mediterranean Sea. It occupies an area of ​​12,820 hectares. The ground appearance is predominantly rocky, having a lunar aspect to much of the exposed area. There are numerous deep underground caves and caverns that have been formed over millions of years by the action of water on limestone. These spectacular geological features also occur at the precise location of Port Ginesta Marina. They exit the limestone caves as natural freshwater springs at the base of the hill in the Marina next to the south beach described below. Combined with Port Ginesta facilities lies a beautiful beach called Cala Ginesta. Hidden from the Marina by the rocky port backdrop. This beach is part of the Garraf National Park, therefore the public enjoy access via the harbour at all times. A landscaped road and footpath leading to the beach was designed by architect Bet Figueras, who incidentally also designed Barcelona’s world-famous Botanical Garden. Network Yacht Brokers Barcelona is the head office of the Network Yacht Brokers Group. We are professional yacht brokers for over 20 years.